Jessi and I met out for lunch today. I asked where she wanted to go and the first word out of her mouth was HOPKINS. 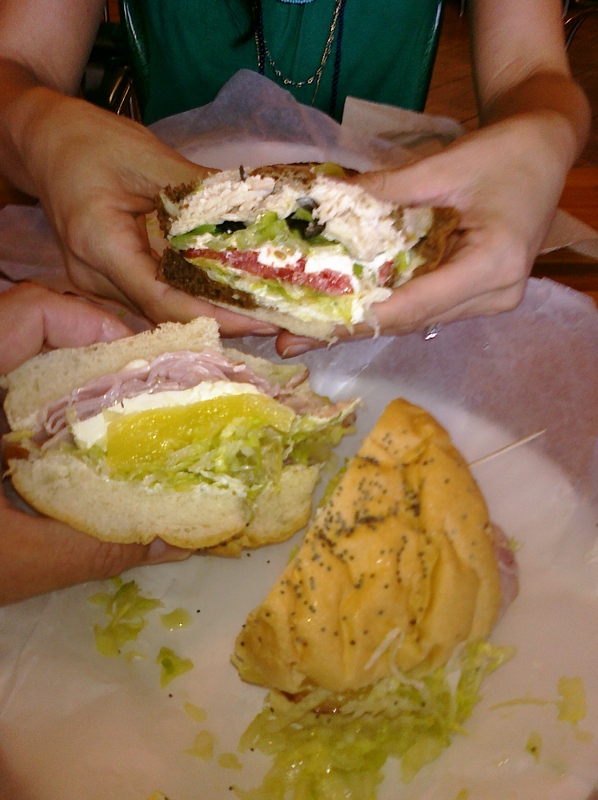 Hopkins Eatery is the quintessential womens lunch date place. Most of the men are there with their wives or girlfriends… or women they wish were their wives or girlfriends. Hopkins has been around Tallahassee for years- I remember back in college eating in their old North Monroe shop next to Barnacle Bills. Its one of those places you run into people you know. I have never made it through a lunch without stopping to say Hi to someone! They have two locations The Lake Ella Publix shopping center and Market Square. The Menus are almost the same at both. The Lake Ella Location has a grill so they serve some more manly food- burgers, Meat Loaf sandwiches and patty melts. All are good- the Meatloaf is exceptional! The Black Bird has Turkey, Cream Cheese, Black Olives, Celery, Green Peppers, Sunflower Seeds, Lettuce, Tomato, Onions, Mayonnaise, and Parmesan dressing. Served hot on a Wheat roll. Jessi substituted the wheat for Rye Pumpernickel swirl. The Hawaiian has Smoked Ham, Cream Cheese, Pineapple Slices, Lettuce, and Mayonnaise. Served on a Poppy Seed roll. My favorite thing about Hopkins is the desserts! They always have cake but I like their bars. 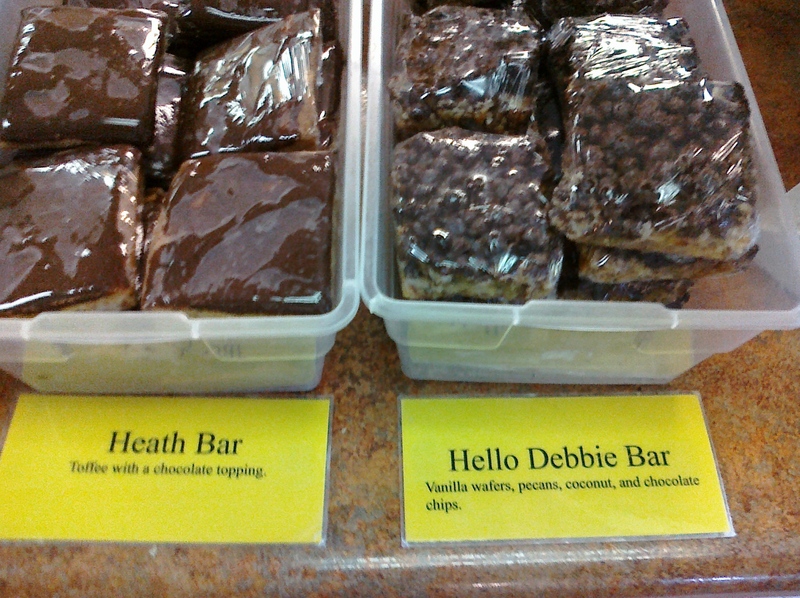 I’m normally a Heath Bar guy but today I had the Hello Debbie. MMMmmmm Hello Debbie! They are big enough to split between two people! Casual Dress and Kid friendly. 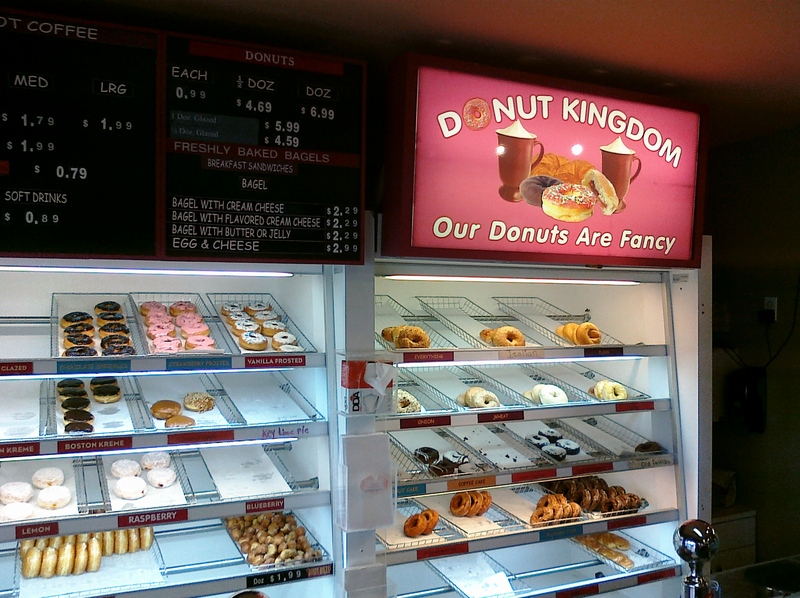 My Kingdom for a Doughnut! 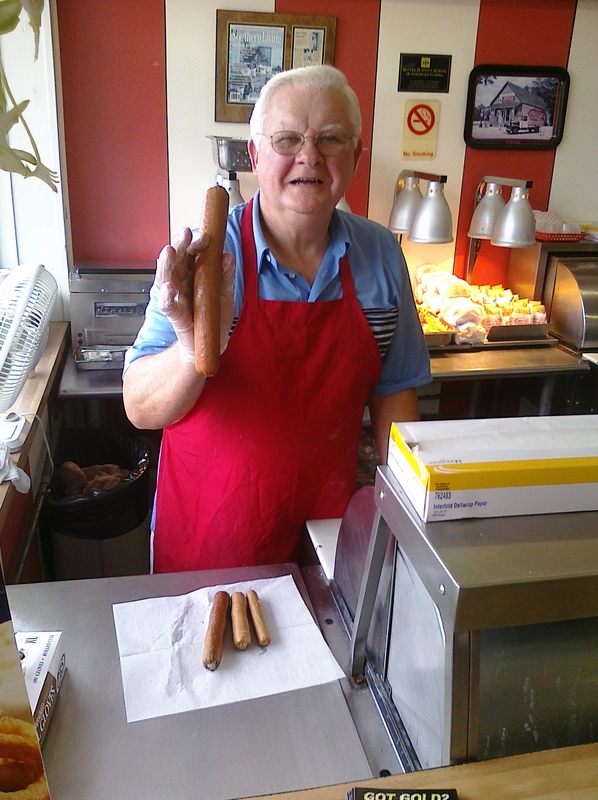 There is something special about a home grown resturant- and how can you not love a home grown Doughnut shop!! 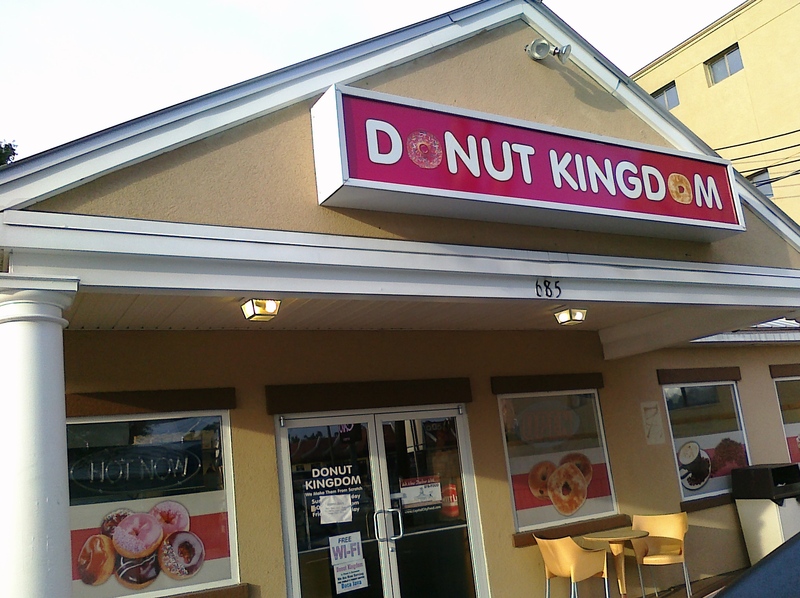 The Donut Kingdom has two locations in Tallahassee. Ive only been to the one on Tennessee st near the FSU campus. When you pull up you know this is not a chain! The selection is good- Cake, Filled, Glazed and Sugar coated. You can tell they are not over-making. there are enough to get what you want and not so many they will be stale. 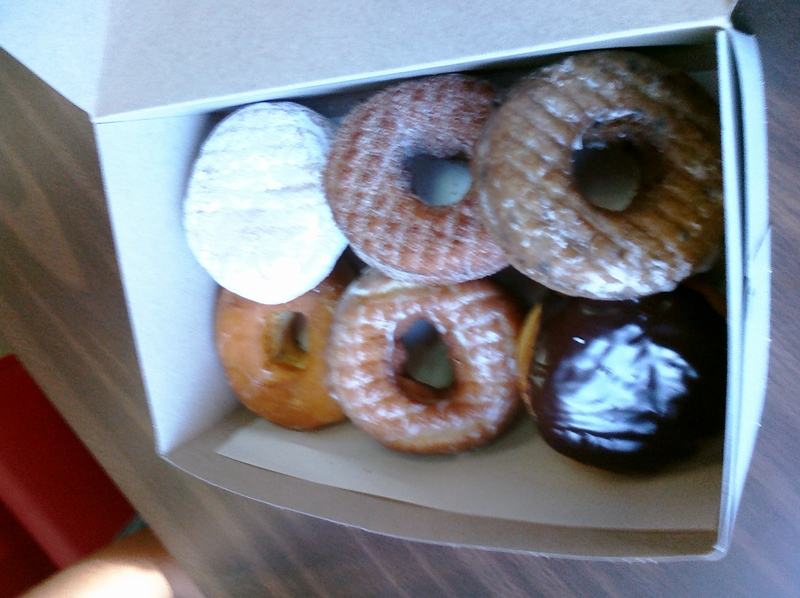 I’m really a cake doughnut fan- love a plain cake and coffee! 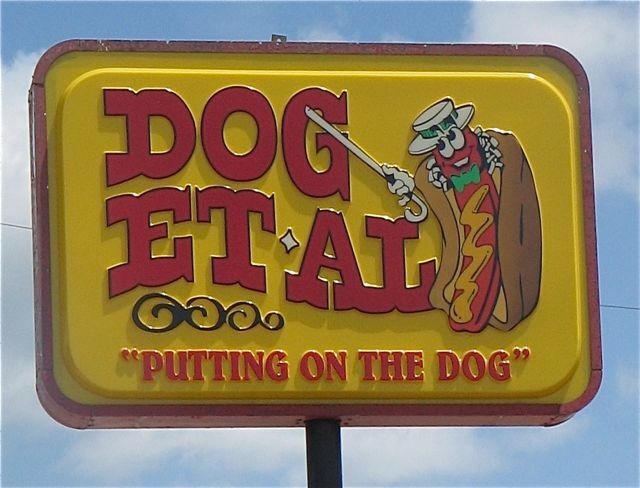 Have not been able to get that in town since DD closed. But I’ve got to say the Glazed is the best- Very Yeasty and light with the perfect amount of glaze. Different than a Krispy Kreme glazed. Tallahassee’s Krispy Kreme owner broke my heart. About a year ago he pulled the doughnut making machine out of the N.Monroe location. 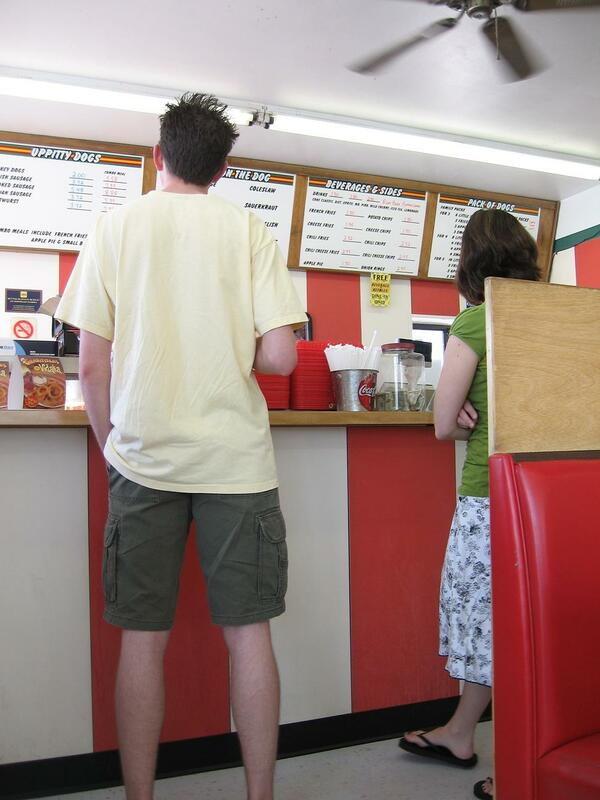 Now they warm up pre-made doughnuts and put the Hot Fresh sign on…. YOU CAN TELL- YUCK! I think I’m over KK and will be a DK guy from now on! The Posey family is not longer in charge- Now its Mad Anthonys – Same view but different food. Its the 4th of July and all I can think about is the beach and the water! 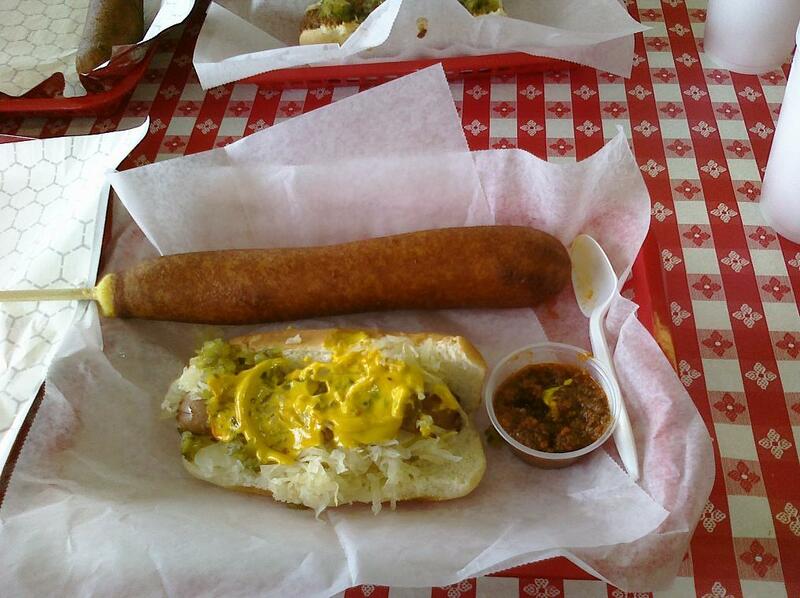 We love driving down for the day and are always on the lookout for good seafood. The Poseys family in Panacea has been serving up Florida seafood for generations. 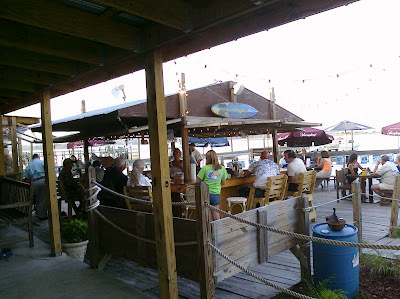 Recently they took over the old HookWreck Henery’s location at the Panacea Marina. While we grieved the demise of HookWreck’s we are happy there is a cold beer and grouper sandwich waiting on us at the boat ramp. 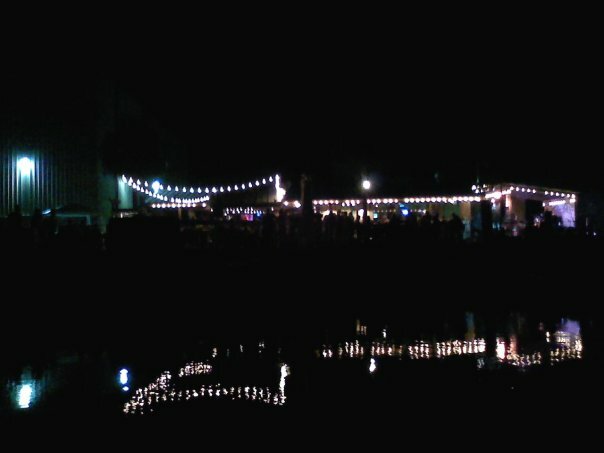 This is the only reasonably priced water front dining I know of in our area. 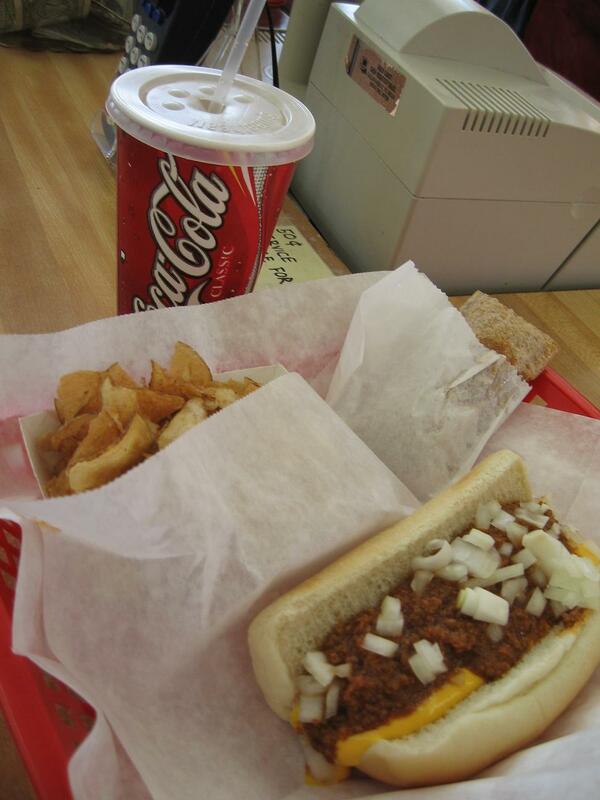 The view is worth the drive- but the food seals the deal. 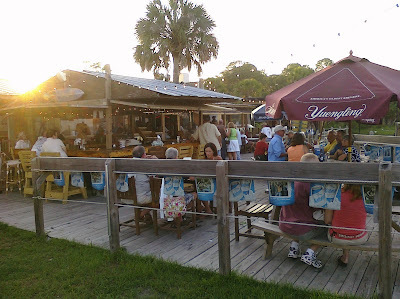 Oysters, Grouper (Blackend, Grilled or Fried), Shrimp and dont miss the fish dip. There is inside seating in the cold AC but we really prefer sitting at one of the outside tables or at the Tiki Bar. The Poseys have added a full liqueur bar so you can get a Rum and Coke with your steamed shrimp. The bar is hopping on the weekend. 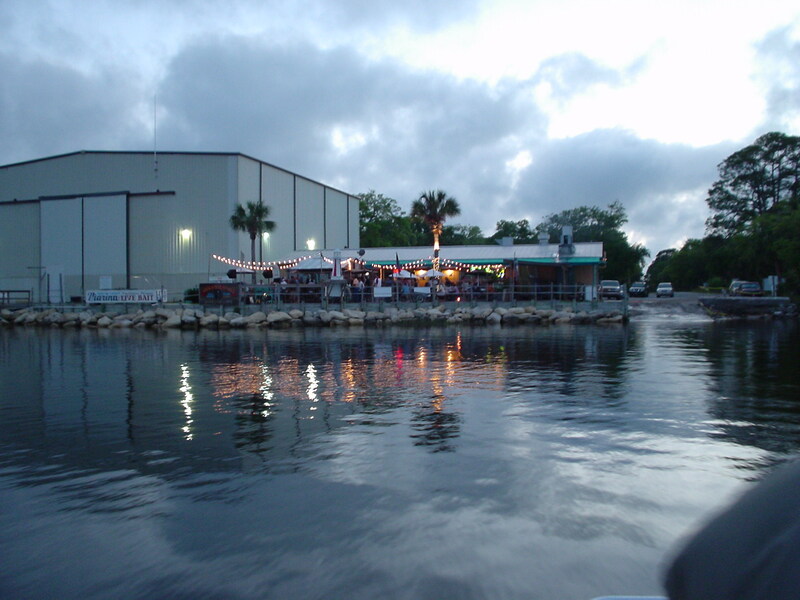 The resturant is right between the boat ramp and the marina dock so there is lots of action on the water. On a weekend the antics at the ramp can be worth the price of admission! 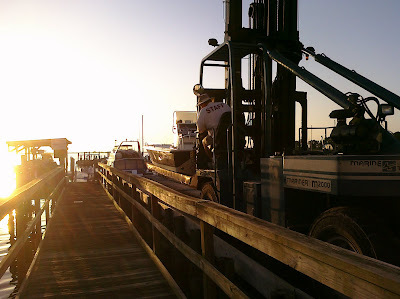 Macon, the fork lift operator, taking a boat out at the end of the day. See if the Marina Office is open ask if he has any fish dip for sale! 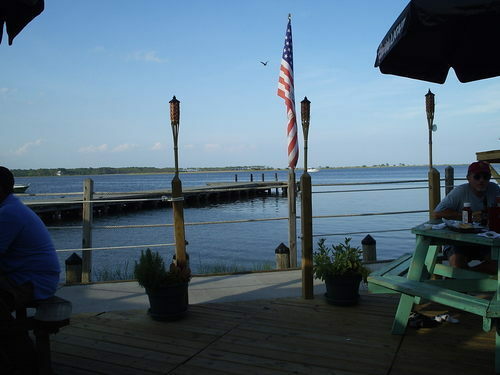 Posey’s Dockside is located in the heart of Panacea at the end of Rock Landing Road. If its a week night call before you go to make sure they are open. Dress: Flip Flops, swim suit and Columbia shirts.